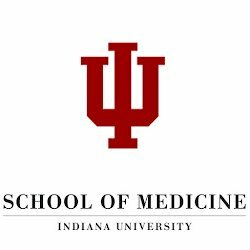 The Bone Biology Laboratory at the IU School of Medicine is a medical research lab with two main objectives: study the factors that cause bone to weaken, and use that knowledge to develop treatments to strengthen bone. The laboratory was awarded grant funding from the National Institute of Arthritis and Musculoskeletal and Skin Disease and the National Library of Medicine (award number R01-AR-062002) which connected them with an informationist at the Ruth Lilly Medical Library. Together they took the basic concept of a library inventory system that uses barcodes to track books and developed a vision for applying this to the lab. This vision became reality as they now have a FileMaker inventory management system in place, and are able to easily track tissue specimens at every step of the research process.. The lab had scattered information, causing researchers to spend too much time trying to find the location of a specimen. They also had a hard time determining what stage a specimen was at in an experiment. With 100-1000 tissues per experiment, and up to 15 experiments at any given time, there was too much information to track without a database. What they had was a lot of paper and spreadsheets. What they needed was an inventory tracking system. The lab needed a workflow application that included the ability to track, manage and quickly retrieve information for experiments, animals, tissues and techniques. The solution was to build a new database that included barcode scanning. Barcode scanning so users could scan a tissue and pull up its record immediately on screen. Barcode label printing for a set of tissues. Dashboard that displays the most commonly monitored workflow items such as active experiments and active tissues. In the past, too much time and effort was spent determining where experiments and tissues were at in the various stages of the research process. With the new FileMaker system now in place, the lab runs smoothly and efficiently with significantly less time and effort managing the location and workflow of specimens.